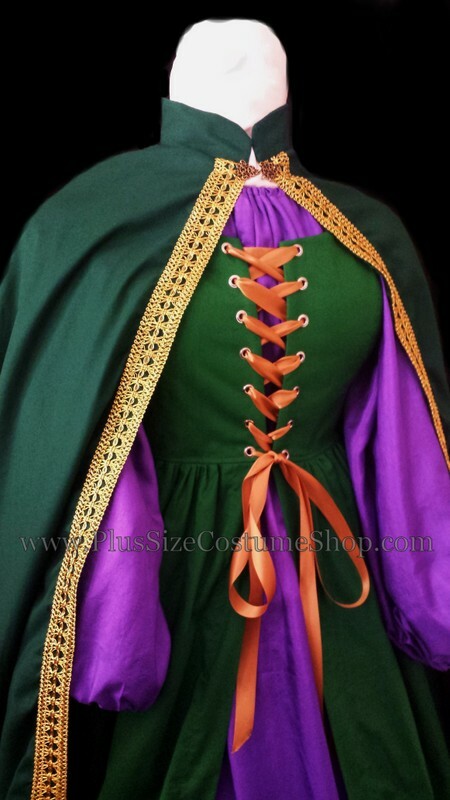 The overdress is made of kelly green cotton and the bodice part is fully lined and boned at the lacings. It laces up through professional-strength grommets. The skirt is made of purple silk essence. The skirt has an elastic waist and will come hemmed at 44” (extra long) unless a shorter length is requested. The peasant shirt is made of purple silk essence and has elastic in the sleeves and neckline for a comfortable fit. The shirt is approximately 32" in length or hip-length. 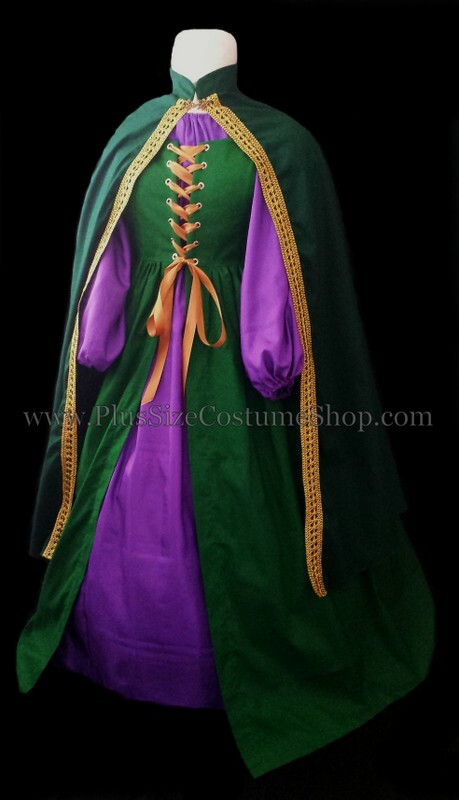 Also included is a hunter green cotton collared cape with gold trim. The cape closes around the neck with a gold clasp.